Can Social Media Boost Your Event?? Today, I’m on the train traveling eight hours south of home to support a long-time friend at the grand opening of his new business. I woke up super early but all I’m thinking about is how happy I am for him. I have no doubt that his business will soar. You see, he’s determined. He’s a business man. But above all that, he’s a good marketer. He believes in what he’s doing and he’s dedicated to immersing himself and this newly born business into the community. He uses a few different marketing tactics, but probably the most successful of those thus far, has been social media. Over the course of the last year, he used social media to tell a story. A story about how the business was born, why it is important to him, and he invited others to join him in his adventure. He posted updates along the way, showing the progress that was being made, the hard work that was going into the construction. All while strategically exuding his passion in each photo and every single word in his captions, captivating his audience. Granted, we’re friends, but there is a gaggle of us traveling from all over the country to be there. After following his engaging internet story for a year, we couldn’t not. I’ve read a lot of literature lately on the impact of social media for businesses and events. And, I’m a true believer that a good social media strategy is worth a giant bucket full of money. 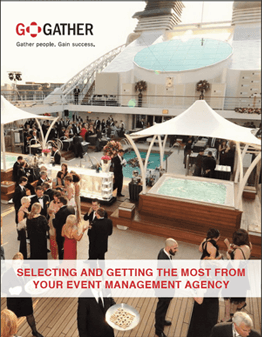 This article talks about using influence marketing to promote an event to boost attendance. And this article also suggests the use of company created hashtags and live streaming portions of a keynote to generate buzz and awareness and FOMO (that’s the Fear Of Missing Out). We see celebrities do these kind of things on social media all the time. So why can’t it work for us commoners? Guess what, it does! Creating hype amongst the community using social media for an event is one thing. But can these tactics also work for an internal event? On a conference call the other day, one of my colleagues expressed a challenge that she has faced recently with one of her clients. They’re having trouble getting employees to attend a company open house. The objective of the event is to keep people within the company connected. So, once a month, they host a luncheon open house. Sometimes 100 people attend, sometimes only 15. Now, you can imagine how difficult that is for a meeting planner, especially when food is involved. Can social media be the answer to create the hype she needs to get people to commit, to not ever want to miss another company event again? According to this article, the answer is simple. YES! And not only can social media help get them there but continuing the conversation during and after extends the effort well beyond just the event itself. Truth. Now, speaking of gaggles, there are a whole lotta social media platforms out there. And personally, I don’t think there is any wrong answer when it comes to choosing one over the other. Sometimes a nice combo is the perfect formula. It depends on your business, and most importantly, your key audience. Social media and its uses will only continue to grow over the years. Jump on the bandwagon (or the train, ha!) and see where it takes you. Happy (marketing) travels!